With the exception of Clipperton, these other sensitive territories are administered by the Prefecture of the French Southern and Antarctic Lands (TAAF in French). For the TAAF it is a question of managing the logistics around these isolated territories, to support scientific missions and research, to protect ecosystems and safeguard biodiversity, and finally to manage in a sustainable way natural resources such as fishing. Any access to the islands named above is therefore subject to prior authorization. It would be interesting to go back to the “amateur radio” history of each of these Scattered and southern islands but we will limit ourselves to the last 20 to 30 years. In the past, radio amateurs had the chance to regularly contact the Météo-France personnel deployed on the Scattered Islands. These were then stationed for several months each year and were in charge of the maintenance of the weather stations. All the islands except Tromelin hosted (and still do) French military troops including radio amateurs who provided some contacts during their free time. When it comes to the French Southern Territories, it was mostly radio operators located on the bases. Military personnel or scientists stationed for several months made radio contacts when off duty. 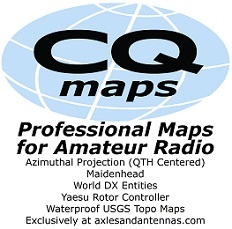 In order to give the greatest number of people an opportunity to contact these territories, several amateur radio expeditions have been successfully organized and conducted: Amsterdam (1998) and Tromelin (2000) by the Lyon DX Gang and the Gendarmerie de Bron, Europa (2003) and Glorioso (2008) by a French military team thanks to Didier F5OGL, Amsterdam (2014) by Ralph K0IR and his team, and finally Tromelin (2014) and Juan de Nova (2016) by my team. Over the course of the expeditions and the years, the rarity of these entities evolves. The most rare and sought-after contacts are to date those with Crozet which shares the top places of the ranking of the most wanted entities with North Korea and Bouvet. Never has any dedicated expedition been conducted there. The last scientists who made contacts are Florentin F4DYM-FT5WO, Nicolas F4EGX-FT1WM-FT1WK and Jean-Paul F5BU-FT5WJ, but the demand is such that despite their efforts, the need for an expedition remains intact. The island of Crozet is the most protected of all the French islands in the perimeter of the TAAF. It has always been the subject of special attention and has a relatively low rate of invasive alien animal or plant species. This makes it particularly sensitive to any new introduction. The scientific base is relatively small compared to the other Southern Islands and has a very high concentration of seabirds sensitive to disturbance nearby. You now know what kind of context we are dealing with. 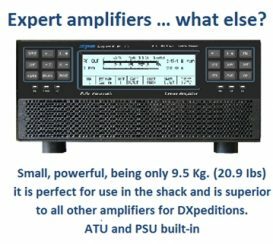 No doubt that the DXpedition enthusiasts were already aware of these elements, but it was important to remind all of you so that everyone understands the content of this communiqué. The last three expeditions (FT5ZM, FT4TA and FT4JA) are those known to the current authorities. 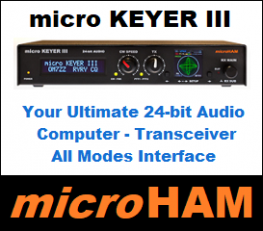 Beyond the amateur radio community, their success has been recognized by the TAAF. This point is extremely important in many aspects and has systematically conditioned the validation of the next expedition. The impression left by these projects is unanimously very positive. Our professionalism, our ability to respect the rules, and finally our ability to bring elements beyond the “radio” aspect were evaluated. For this last point, we collaborated with schools and generated exciting exchanges with the students and their teachers, communicated massively through different media on the islands, their history / geography, put together beautiful philatelic activities, put forward the work and the missions of the TAAF in the four corners of the world through articles and conferences organized on several continents. We have also shown our full potential to conduct expeditions in total respect of the host territories, and this is undoubtedly the most important. Based on these experiences and the very good relationship with the TAAF, we worked in parallel on two new destinations as soon as we returned from Juan de Nova: Grande Glorieuse Island (FT/G) and Crozet (FT/W). Quickly, we were faced with the risk of collision with antennas for bird populations, as well as the difficulty of verifying the respect of bio-protection measures around our projects. These risks were part of our specifications during our previous operations, and each time we showed our common ability to find appropriate solutions, our team often going beyond the conditions imposed. A new evaluation was conducted for over a year to propose new technical, logistical and organizational solutions to bring these subjects under control. Numerous research projects, supported by several notes from expert scientists, have ruled out the risk presented by our modest antennas on the bird populations of these territories. Passionate about our islands for decades, we are the first to pay special attention to the protection of fauna and flora and it seems clear to us that our projects are completely respectful of these territories and their biodiversity. Despite the research work done, the innovative solutions proposed, and a complete and documented dossier, our requests were rejected. The arguments put forward focus on the danger posed by our antennas for the bird population and the risk of introduction of new species during our landing. Despite our work to demonstrate that these elements are controlled and in no way invalidate our activities, it is the precautionary principle that is privileged for the moment. The logic remains to say that if there is no project then there is no risk. 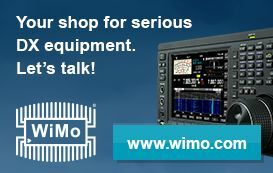 Unfortunately, amateur radio expeditions are not part of the core activities and priorities. Of course, we acknowledge the position of the authorities in charge who undoubtedly rely on the expertise of their various departments. Let’s hope that the months or years ahead will allow us, through dialogue, to find compromises and propose new projects on a win-win basis as it has been the case so far. To this day, the frustration is of course great as we worked hard countless hours. However, we will continue in a professional manner to deal with our interlocutors. We will continue our research to improve our solutions and make them even more compatible with the constraints imposed so far. 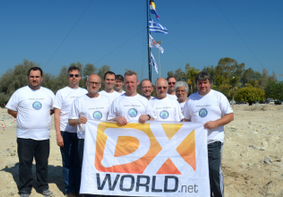 Radio amateurs have had the chance to accompany and participate in the life of the bases for more than 60 years. We are therefore convinced of our legitimacy in the Scattered and Southern Territories, as well as in the ability of the TAAF to maintain a framework for our activity. Many of you send me emails asking “when will Crozet take place? ” or ” when will Glorioso take place?”. Let’s hope that this communiqué is going to give you a better idea of our current projects. My goal is not to exchange ideas. No need to contact me to ask me more questions or give me your opinion, I may not have time to answer you. It is also not a communiqué to tell you not to try to propose an alternative project to the competent authorities. As of today the chances of moving forward are slim. The administration has already received a number of cases in recent years, more or less serious, and I personally think that has made things more confusing and has not made our case. I imagine that many will be disappointed with this information. We definitely are too. But we want to remain very positive and above all satisfied with the projects carried out towards Tromelin and Juan de Nova. We are aware of the privilege we have had. The work done with the various TAAF services to date has been fascinating. We have met people who live their missions with a passion and it is with great pleasure that we will perhaps work with them again in the future; it is our dearest wish.